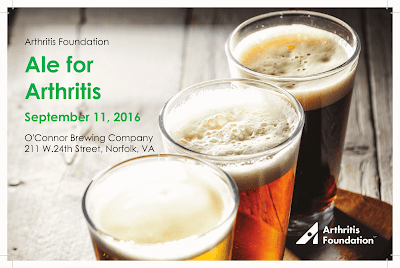 It's time to have a craft beer for a good cause! 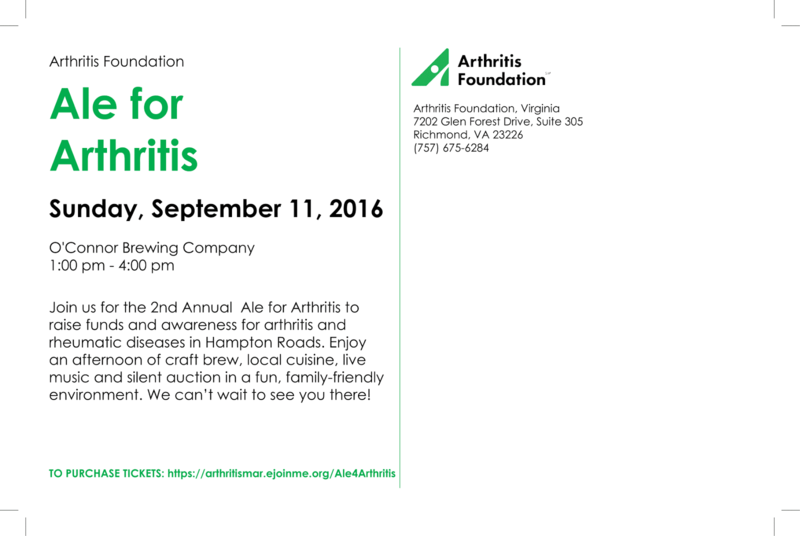 Mark your calendars for this years Ale for Arthritis. Sunday, September 11, at Norfolk's own O'Connor Brewing Company. 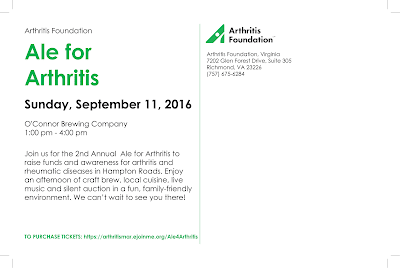 You'll be supporting Virginia brewed craft beer and raising money/awareness for arthritis and rheumatic diseases. Get your tickets here.